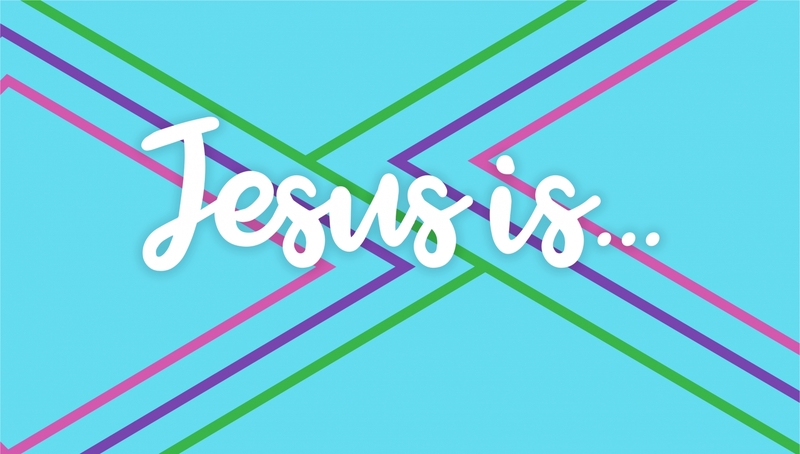 Jesus is everything. There is no one more important to the world than Jesus. There is no one more important to your life than Jesus. Your security is founded in him. Jesus is all the world to you. Jesus is the alpha and the omega of your life. Jesus is everything. 11 A man named Lazarus was sick. He lived in Bethany with his sisters, Mary and Martha. 2 This is the Mary who later poured the expensive perfume on the Lord's feet and wiped them with her hair. [a] Her brother, Lazarus, was sick. 3 So the two sisters sent a message to Jesus telling him, "Lord, your dear friend is very sick." 8 But his disciples objected. "Rabbi," they said, "only a few days ago the people[b] in Judea were trying to stone you. Are you going there again?" 9 Jesus replied, "There are twelve hours of daylight every day. During the day people can walk safely. They can see because they have the light of this world. 10 But at night there isdanger of stumbling because they have no light." 11 Then he said, "Our friend Lazarus has fallen asleep, but now I will go and wake him up." 16 Thomas, nicknamed the Twin,[c] said to his fellow disciples, "Let's go, too, and die with Jesus." 17 When Jesus arrived at Bethany, he was told that Lazarus had already been in his grave for four days. 18 Bethany was only a few miles[d] down the road from Jerusalem, 19 and many of the people had come to console Martha and Mary in their loss. 20 When Martha got word that Jesus was coming, she went to meet him. But Mary stayed in the house. 21 Martha said to Jesus, "Lord, if only you had been here, my brother would not have died. 22 But even now I know that God will give you whatever you ask." 24 "Yes," Martha said, "he will rise when everyone else rises,at the last day." 25 Jesus told her, "I am the resurrection and the life. [e] Anyone who believes in me will live, even after dying. 26 Everyone who lives in me and believes in me will never ever die. Do you believe this, Martha?" 33 When Jesus saw her weeping and saw the other people wailing with her, a deep anger welled up within him,[f] and he was deeply troubled. 34 "Where have you put him?" he asked them. They told him, "Lord, come and see." 35 Then Jesus wept. 36 The people who were standing nearby said, "See how much he loved him!" 37 But some said, "This man healed a blind man. Couldn't he have kept Lazarus from dying?" 38 Jesus was still angry as he arrived at the tomb, a cave with a stone rolled across its entrance. "Roll the stone aside," Jesus told them. 40 Jesus responded, "Didn't I tell you that you would see God's glory if you believe?" 41 So they rolled the stone aside. Then Jesus looked up to heaven and said, "Father, thank you for hearing me. 42 You always hear me, but I said it out loud for the sake of all these people standinghere, so that they will believe you sent me." 43 Then Jesus shouted, "Lazarus, come out!" 44 And the dead man came out, his hands and feet bound in graveclothes, his face wrapped in a headcloth. Jesus told them, "Unwrap him and let him go!" He looks at you and he says - I am the resurrection and the life. I am the glory of God. What do you want your relationship with him to be?